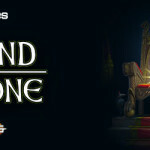 Risen from their graves due to a powerful summoning spell, the Heroes of Sword and Sorcery are no mere mortals. They are born again, vestiges of ancient and powerful champions who battled to protect the world from an ancient and terrible Evil. To battle they went, and in battle they fell, one by one, until no hero remained on the face of the land. But now the sacrifice has been made, the ritual performed, and five mighty champions of goodness rise to fight another day. Unfortunately, the resurrection spell was too weak to summon the Heroes’ souls as a whole; therefore, each Hero must strive not only to once again oppose the ancient Evil, but also to regain his very soul, dispersed and intertwined with the evil forces infesting the land. 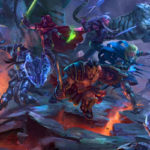 As they fight and vanquish enemies, the Heroes of our story gain back pieces of their lost souls, regaining memories and incredible powers to use in their endless quest. Ecarus, master of sword and shield combat style, in its Chaos configuration. Ecarus was orphaned very early in his life. He was raised and trained by the Order of the Rose. 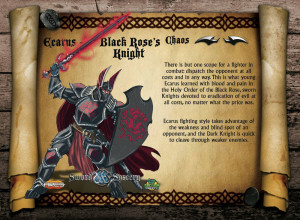 The most valiant and skilled knight of his order, Ecarus is a master of sword and shield style of combat, wielding his mighty blade and warding off enemy attacks with his Rose emblazoned shield. He wears plate armor with the Rose symbol, and embodies all the Chivalric virtues and the Code of his order. His world is the Order, his creed is the Order, his life is the Order. Lawful Ecarus: Knight of the Order of the White Rose, Ecarus is a peerless fighter, a veritable beacon on the battlefield. 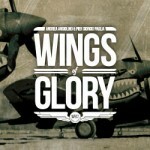 His very presence is a mortal threat to most enemies, and his mighty and righteous voice can challenge any opponent to a mortal duel. 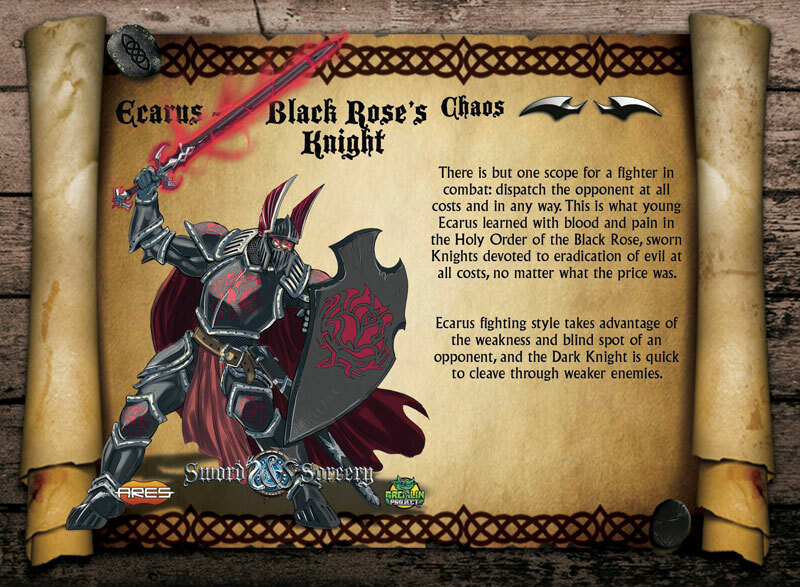 Chaotic Ecarus: Knight of the Order of the Black Rose, Ecarus is a ruthless warrior, trained to exploit even the smallest weakness in a foe, relentlessly attacking weak enemies to wipe them from the battlefield. 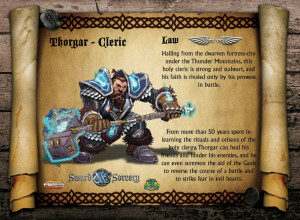 The dwarf Thorgar is a mystic and a holy priest. Here is the Lawful Thorgar. 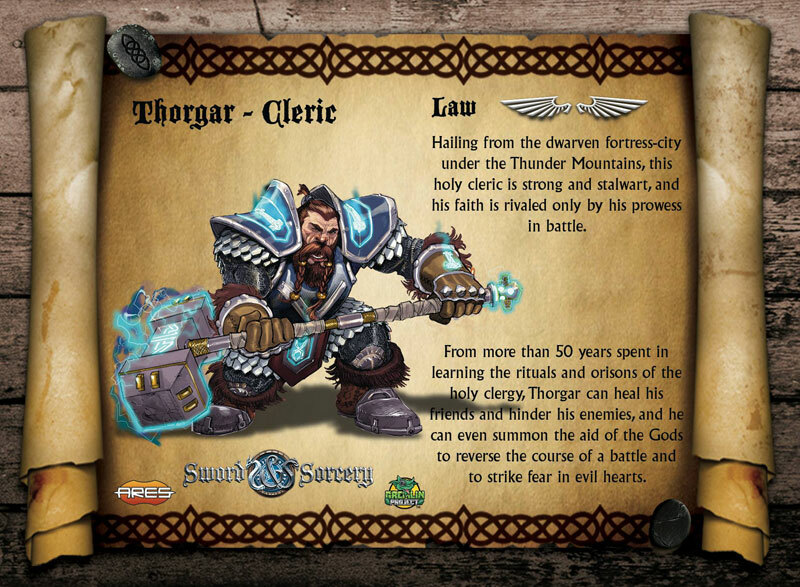 A dwarf born under the Thunder Mountains, Thorgar is a mystic and a holy priest. He devoted his life not only to curing the sick and healing the wounded, but to the study the Rune magic, a Dwarven secret lore. 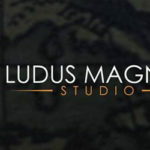 His weapon is a mighty two-handed warhammer, which he wields along with his priestly magic, not only supporting and healing the group, but also inflicting heavy damage upon those enemies unlucky enough to enter the reach of his fearsome hammer. Lawful Thorgar: A holy priest specializing in healing and prayers, Thorgar can summon the divine magic of the Three to heal, bolster, and cure his allies, as well as to wreak magical havoc on his enemies. He can also deal devastating attacks with his hammer. Chaotic Thorgar: Thorgar spent more than 50 years to understand the intricacies of the Rune Magic. He is one of the most powerful Rune Casters of his people, and can use Rune powers to empower himself and to destroy his enemies. 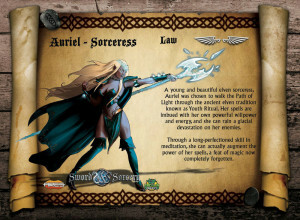 Auriel, the greatest Elven sorceress of her age. The Lawful Auriel is skilled in meditation. Magic runs in the veins of the Elves, and Auriel is ablaze with pure magic. 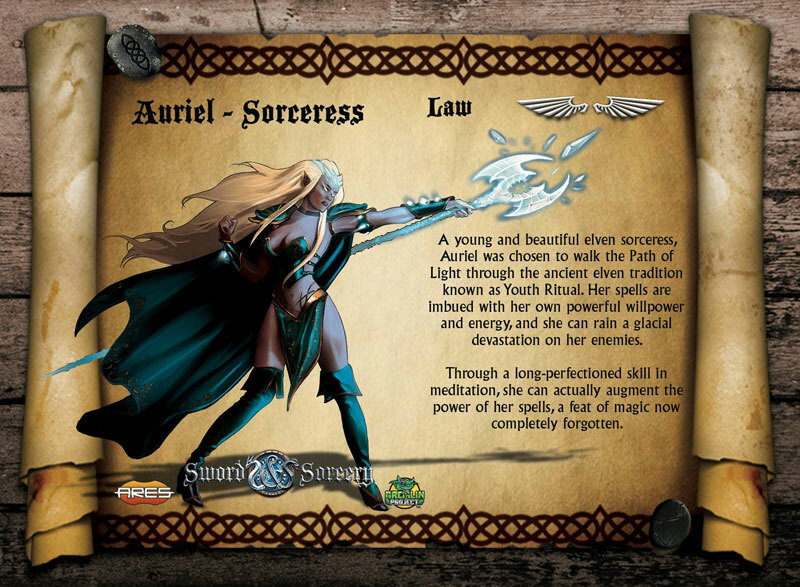 The greatest Elven sorceress of her age, Auriel wields elemental forces capable of leveling a city just as calmly as a commoner wields a hammer to nail a board. As with many mages, Auriel also gained expertise with the implements of magic, such as staves and wands. Her blonde hair and breath-taking beauty hide her devastating power and fearsome abilities. Lawful Auriel: Meditation is the key to perfection. Auriel can meditate to a point she can act with the purest serenity as she casts her spells, empowering them beyond any mortal. She can lay waste to any enemy fool enough to attack her group. Chaotic Auriel: Magic is power, but good support from a pair of wands is more powerful. Auriel can dual wield wands, blasting her enemies from the battlefield. And, just in case, her chaos magic spells are exactly what she needs to pulverize any surviving opponent. Shae is the quintessential thief - silent, quiet, and deadly with her daggers. 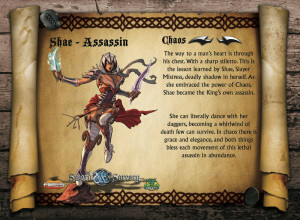 The Chaotic Shae, a perfect assassin. The way to a man's heart is through his throat. Literally, according to Shae; the dark lady who stole men’s hearts – and their money and jewelry. Shae is the quintessential thief, silent as a night shade, quiet as the breath of a fish, and deadly with her daggers. Her experience in the underworld allows her to elude most traps and locks, and enter the most protected vault without a sweat. And when the going gets tough, there’s always her daggers dancing in front of her. Lawful Shae: a thief with a heart of gold, she always helps the less fortunate with the gold of the rich and wicked. Her beauty can open most doors (and windows), but where her countenance cannot enter, her fingers can pry the safest lock and disarm the deadliest trap. Chaotic Shae: the perfect assassin, beautiful and cold as a winter night, Shae has been employed in the power struggle between noble houses forever. Her skills allow her to move silently and sneak from the shadows, and perform a deadly dance with her twin blades. The Elven Ranger, Laegon, is neutral in his moral alignment. As an Archer, he is the perfect sniper. 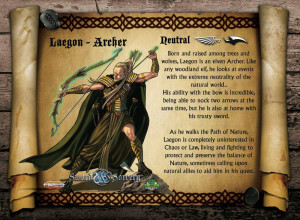 Laegon is an Elven Ranger. He believes in balance in all things, therefore he is pure Neutral in his moral alignment. He can wield a bow or two blades with the same deadly accuracy, and his decades spent training in the woods made him the perfect hunter, tracker, and ambusher. He befriended a wolf years ago, and named it Sally. 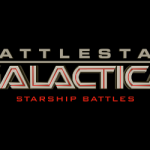 Sally is a loyal companion and a powerful fighter, able to knock down even the strongest opponent. 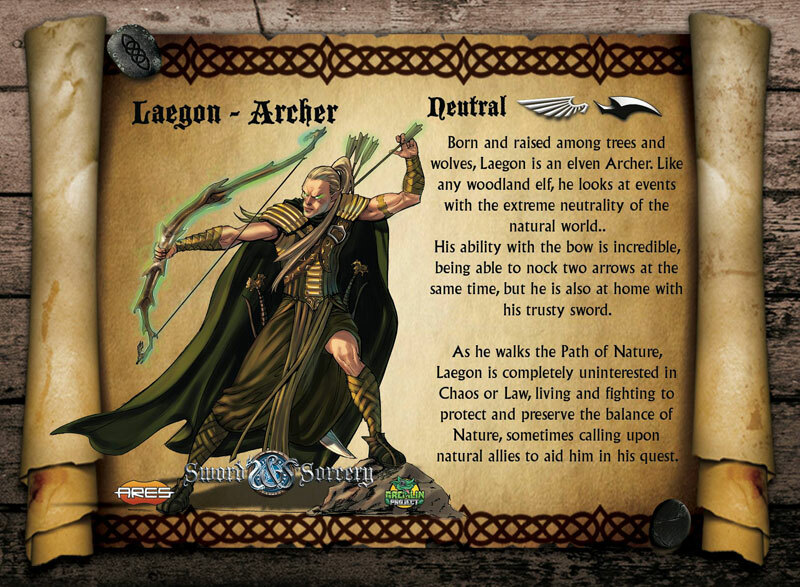 Ranger: As a Ranger, Laegon wields swords and scimitars in a hurricane of steel to mow down his enemies, a lightning bolt on the battlefield. He summons his wolf ally to mop up any straggler unfortunate enough to escape his dual bladed fury. Archer: As an Archer, Laegon is the perfect sniper. He can shoot down an opponent from incredible distances, and can even nock two arrows at the same time, to rain down a deadly hailstorm of missiles on his unlucky enemies. 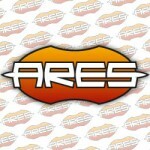 In the next article, learn more about the enemies. 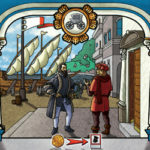 To see the first preview article, click here.